Since the late 1970's, the United States has established a network of bilateral Social Security agreements that coordinate the U.S. Social Security program with the comparable programs of other countries. This article gives a brief overview of the agreements and should be of particular interest to multinational companies and to people who work abroad during their careers. International Social Security agreements, often called "Totalization agreements," have two main purposes. First, they eliminate dual Social Security taxation, the situation that occurs when a worker from one country works in another country and is required to pay Social Security taxes to both countries on the same earnings. Second, the agreements help fill gaps in benefit protection for workers who have divided their careers between the United States and another country. Without some means of coordinating Social Security coverage, people who work outside their country of origin may find themselves covered under the systems of two countries simultaneously for the same work. When this happens, both countries generally require the employer and employee or self-employed person to pay Social Security taxes. Dual Social Security tax liability is a widespread problem for U.S. multinational companies and their employees because the U.S. Social Security program covers expatriate workers--those coming to the United States and those going abroad--to a greater extent than the programs of most other countries. U.S. Social Security extends to American citizens and U.S. resident aliens employed abroad by American employers without regard to the duration of an employee's foreign assignment, and even if the employee has been hired abroad. This extraterritorial U.S. coverage frequently results in dual tax liability for the employer and employee since most countries, as a rule, impose Social Security contributions on anyone working in their territory. Dual tax liability can also affect U.S. citizens and residents working for foreign affiliates of American companies. This is likely to be the case when a U.S. firm has followed the common practice of entering into an agreement with the Department of the Treasury pursuant to section 3121(l) of the Internal Revenue Code to provide Social Security coverage for U.S. citizens and residents employed by the affiliate. In addition, U.S. citizens and residents who are self-employed outside the United States are often subject to dual Social Security tax liability since they remain covered under the U.S. program even if they maintain no business operations in the United States. Other features of U.S. law increase the odds that foreign workers in the United States will also face dual coverage. U.S. law provides compulsory Social Security coverage for services performed in the United States as an employee, regardless of the citizenship or country of residence of the employee or employer, and irrespective of the length of time the employee stays in the United States. 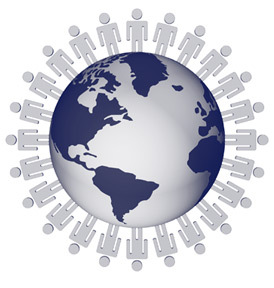 Unlike many other countries, the United States generally does not provide coverage exemptions for nonresident alien employees or for employees who have been sent to work within its borders for short periods. For this reason, most foreign workers in the United States are covered under the U.S. program. Paying dual Social Security contributions is especially costly for companies that offer "tax equalization" arrangements for their expatriate employees. A firm that sends an employee to work in another country often guarantees that the assignment will not result in a reduction of the employee's after-tax income. Employers with tax equalization programs, therefore, typically agree to pay both the employer and employee share of host country Social Security taxes on behalf of their transferred employees. Under the tax laws of many countries, however, an employer's payment of an employee's share of a Social Security contribution is considered to be taxable compensation to the employee, thus increasing the employee's income tax liability. The tax equalization arrangement generally provides that the employer will also pay this additional income tax, which in turn serves to increase the employee's taxable income and tax liability even further. The employer again pays the additional tax, etc., etc. As one can readily see, the employee's foreign Social Security coverage results in a substantially greater tax burden for the employer than the nominal Social Security tax alone. Depending on the other country's tax rates, in some countries this "pyramid" effect has been known to increase an employer's foreign Social Security costs to as much as 65-70 percent of the employee's salary, as illustrated below. Under the tax equalization arrangement, the employer pays both the employee's foreign Social Security tax of U.S.$7,000, plus the employee's foreign income tax. Exacerbating the cost concern is the fact that workers who are subject to dual Social Security taxation usually receive no additional benefit protection for the contributions paid to the foreign country. Even if the worker resides abroad for several years, the duration of employment may not be sufficient for the individual to become insured for benefits under the host country's Social Security program. For all practical purposes, the contributions are lost. The aim of all U.S. totalization agreements is to eliminate dual Social Security coverage and taxation while maintaining the coverage of as many workers as possible under the system of the country where they are likely to have the greatest attachment, both while working and after retirement. Each agreement seeks to achieve this goal through a set of objective rules. A general misconception about U.S. agreements is that they allow dually covered workers or their employers to elect the system to which they will contribute. This is not the case. The agreements, moreover, do not change the basic coverage provisions of the participating countries' Social Security laws--such as those that define covered earnings or work. They simply exempt workers from coverage under the system of one country or the other when their work would otherwise be covered under both systems. The provisions for eliminating dual coverage with respect to employed persons are similar in all U.S. agreements. Each one establishes a basic rule that looks to the location of a worker's employment. Under this basic "territoriality" rule, an employee who would otherwise be covered by both the U.S. and a foreign system remains subject exclusively to the coverage laws of the country in which he or she is working. Each agreement (except the one with Italy) includes an exception to the territoriality rule designed to minimize disruptions in the coverage careers of workers whose employers send them abroad on temporary assignment. Under this "detached-worker" exception, a person who is temporarily transferred to work for the same employer in another country remains covered only by the country from which he or she has been sent. A U.S. citizen or resident, for example, who is temporarily transferred by an American employer to work in an agreement country continues to be covered under the U.S. program and is exempt from coverage under the system of the host country. The worker and employer pay contributions only to the U.S. program. The detached-worker rule in U.S. agreements generally applies to employees whose assignments in the host country are expected to last 5 years or less. The 5-year limit on exemptions for detached workers is substantially longer than the limit normally provided in the agreements of other countries. Under certain conditions, a worker may be exempted from coverage in an agreement country even if he or she was not assigned there directly from the United States. If, for example, a U.S. company sends an employee from its New York office to work for 4 years in its Hong Kong office and then reassigns the employee to work for 4 additional years in its London office, the employee can be exempted from U.K. Social Security coverage under the U.S.-U.K. agreement. The detached worker rule applies in cases like this provided the worker was originally sent from the United States and remained covered under U.S. Social Security for the entire period preceding the assignment in the agreement country. The agreement with Italy represents a departure from other U.S. agreements in that it does not include a detached-worker rule. As in other agreements, its basic coverage criterion is the territoriality rule. Coverage for expatriate workers, however, is based principally on the worker's nationality. If a U.S. citizen who is employed or self-employed in Italy would be covered by U.S. Social Security absent the agreement, he or she will remain covered under the U.S. program and be exempt from Italian coverage and contributions. Most U.S. agreements eliminate dual coverage of self-employment by assigning coverage to the worker's country of residence. For example, under the U.S.-Swedish agreement, a dually covered self-employed U.S. citizen living in Sweden is covered only by the Swedish system and is excluded from U.S. coverage. Although the agreements with Belgium, France, Germany, Italy and Japan do not use the residence rule as the primary determinant of self-employment coverage, each of them includes a provision to ensure that workers are covered and taxed in only one country. You can obtain more details on any of these agreements here on our web site or by writing to the Social Security Administration (SSA) at section Conclusion, below. Despite the fact that the agreements are designed to assign Social Security coverage to the country where the worker has the greatest attachment, unusual situations occasionally arise in which strict application of the agreement rules would yield anomalous or inequitable results. For this reason, each agreement includes a provision that permits the authorities in both countries to grant exceptions to the normal rules if both sides agree. An exception might be granted, for example, if the overseas assignment of a U.S. citizen were unexpectedly extended for a few months beyond the 5-year limit under the detached-worker rule. In this case, the worker could be granted continued U.S. coverage for the additional period. As a cautionary note, it should be pointed out that the exception provision is invoked fairly infrequently and only in compelling cases. It is not intended to give workers or employers the freedom to routinely elect coverage in conflict with normal agreement rules. Workers who are exempt from U.S. or foreign Social Security taxes under an agreement must document their exemption by obtaining a certificate of coverage from the country that will continue to cover them. For example, a U.S. worker sent on temporary assignment to the United Kingdom would need a certificate of coverage issued by SSA to prove his or her exemption from U.K. Social Security contributions. Conversely, a U.K.-based employee working temporarily in the United States would need a certificate from the U.K. authorities as evidence of the exemption from U.S. Social Security tax. When SSA issues a certificate certifying U.S. coverage, a copy of the certificate usually must be presented to the appropriate foreign authorities as proof of entitlement to the foreign exemption for the U.S. employee and the employer. When the other country issues a certificate certifying that the employee is covered by the foreign system, the employer can immediately stop withholding and paying U.S. Social Security taxes on the employee's earnings. The certificate should just be retained in the employer's files so it can be produced in the event the Internal Revenue Service ever questions why no taxes are being paid for the employee. A self-employed U.S. citizen or resident must attach a photocopy of the foreign certificate to his U.S. tax return each year as proof of the U.S. exemption from self-employment taxes. In accordance with Revenue Procedure 84-54, the foreign certificate serves as proof of the exemption from U.S. Social Security taxes for the period shown on the certificate. Requests should include the employer's name and address in the United States and the other country, the worker's full name, place and date of birth, citizenship, U.S. and foreign Social Security numbers, place and date of hiring, and the beginning and ending dates of the assignment in the foreign country. (If the employee will be working for a foreign affiliate of the U.S. company, the request should also indicate whether U.S. Social Security coverage has been arranged for the employees of the affiliate under section 3121(l) of the Internal Revenue Code.) Self-employed persons should indicate their country of residence and the nature of their self-employment activity. When requesting certificates under the agreements with France and Japan, the employer (or self-employed person) must also indicate whether the worker and any accompanying family members are covered by health insurance. In addition to providing better Social Security coverage for active workers, international Social Security agreements help assure continuity of benefit protection for persons who have acquired Social Security credits under the system of the United States and the system of another country. Workers who have divided their careers between the United States and a foreign country sometimes fail to qualify for retirement, survivors or disability insurance benefits (pensions) from one or both countries because they have not worked long enough or recently enough to meet minimum eligibility requirements. Under an agreement, such workers may qualify for partial U.S. or foreign benefits based on combined, or "totalized," coverage credits from both countries. To qualify for benefits under the U.S. Social Security program, a worker must have earned enough work credits, called quarters of coverage, to meet specified "insured status requirements." For example, a worker who attains age 62 in 1991 or later generally needs 40 calendar quarters of coverage to be insured for retirement benefits. Under a Totalization agreement, if a worker has some U.S. coverage but not enough to qualify for benefits, SSA will count periods of coverage that the worker has earned under the Social Security program of an agreement country. In the same way, a country party to an agreement with the United States will take into account a worker's coverage under the U.S. program if it is needed to qualify for that country's Social Security benefits. If the combined credits in the two countries enable the worker to meet the eligibility requirements, a partial benefit can then be paid, which is based on the proportion of the worker's total career completed in the paying country. The agreements allow SSA to totalize U.S. and foreign coverage credits only if the worker has at least six quarters of U.S. coverage. Similarly, a person may need a minimum amount of coverage under the foreign system in order to have U.S. coverage counted toward meeting the foreign benefit eligibility requirements. People generally do not need to take action concerning Totalization benefits under an agreement until they are ready to file a claim for retirement, survivors or disability benefits. A person who wishes to file a claim for benefits under a Totalization agreement may do so at any Social Security office in the United States or the foreign country. International Social Security agreements are advantageous both for persons who are working now and for those whose working careers are over. For current workers, the agreements eliminate the dual contributions they might otherwise be paying to the Social Security systems of both the United States and another country. For persons who have worked both in the United States and abroad, and who are now retired, disabled, or deceased, the agreements often result in the payment of benefits to which the worker or the worker's family members would not otherwise have become entitled. The agreements also favorably affect the profitability and competitive position of companies with foreign operations by reducing their cost of doing business abroad. Companies with personnel stationed abroad are encouraged to take advantage of these agreements to reduce their tax burden. You can also write to this address if you would like to suggest the negotiation of new agreements with specific countries. In developing its negotiating plans, SSA gives considerable weight to the interest expressed by the workers and employers who will be affected by potential agreements.